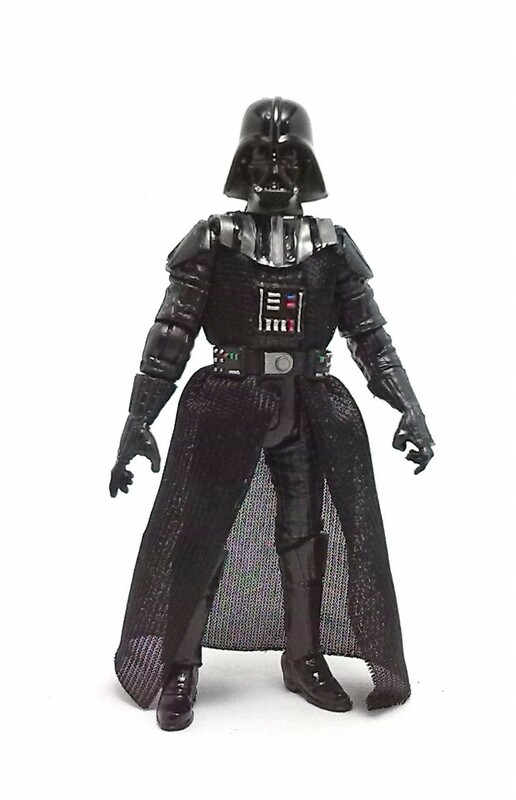 Well, not surprisingly, Hasbro did include yet another version of Darth Vader in the early waves of 3.75 inch figures from the Star Wars Black Series collection. This particular version of the Dark Lord of the Sith hails from the 10-second scene in The Empire Strikes Back where Han, Leia and Chewbacca are led to the presence of Vader and the corellian smuggler proves to be a tad too slow in the draw. 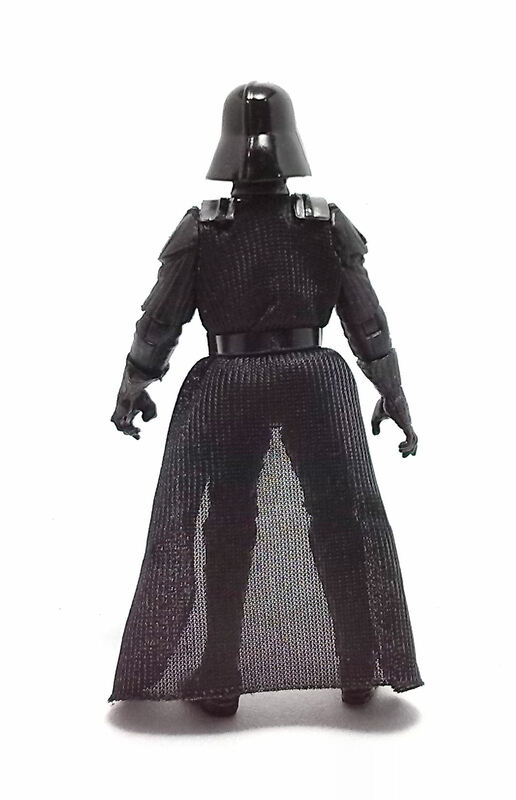 This Vader figure is actually quite nicely detailed and the costume is a faithful reproduction of the Episode V suit, with the real fabric tabard going under the torso armor and the length-wise lines running along the gauntlets. 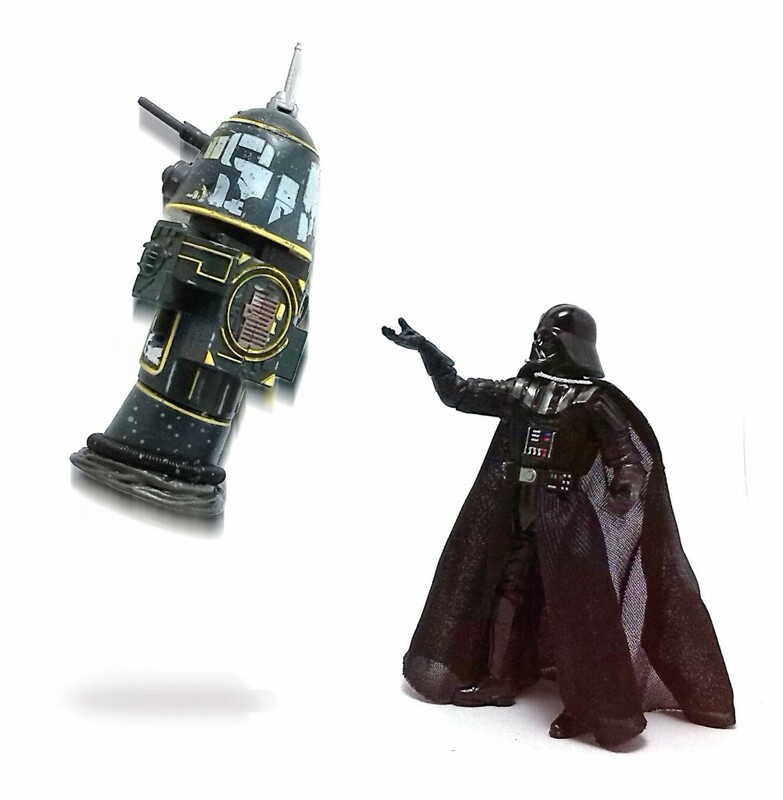 Bespin Vader does not have a removable helmet, but the head can be popped off to remove the fabric cape as well. 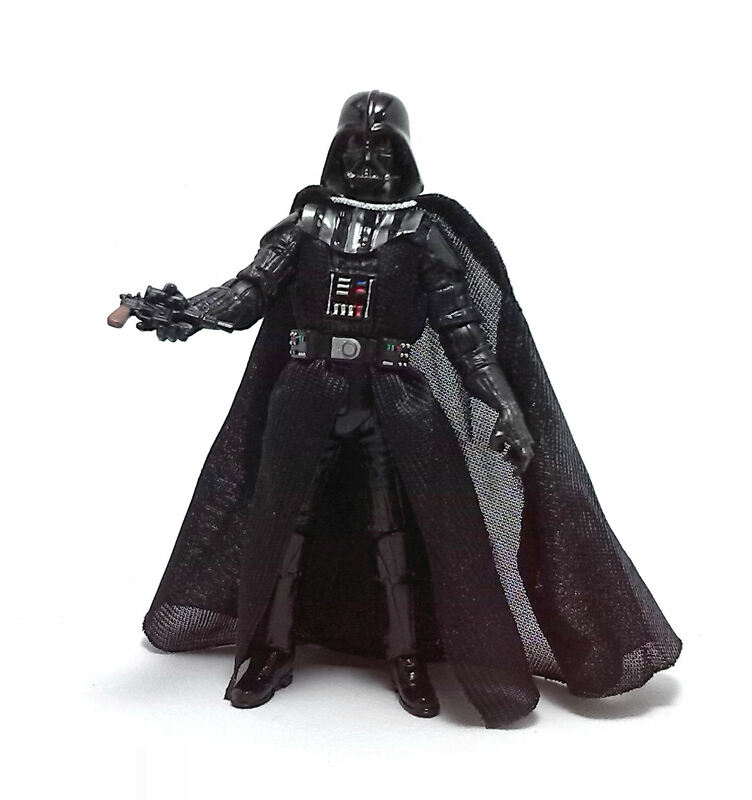 In terms of articulation, this version of Vader is not quite as articulated as the last figure of him featured in The Vintage Collection, but it still has the following. This set of joints is more than enough to achieve a vast number of poses, and each articulation point feels firm enough to hold any stance with minimal effort. 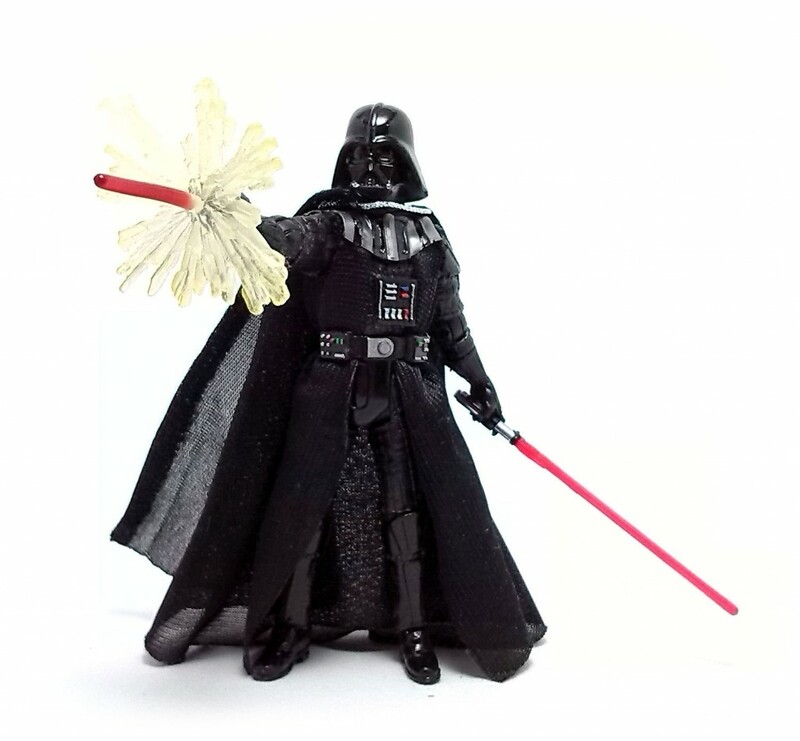 The things that really differentiate this version of Vader are the accessories included. 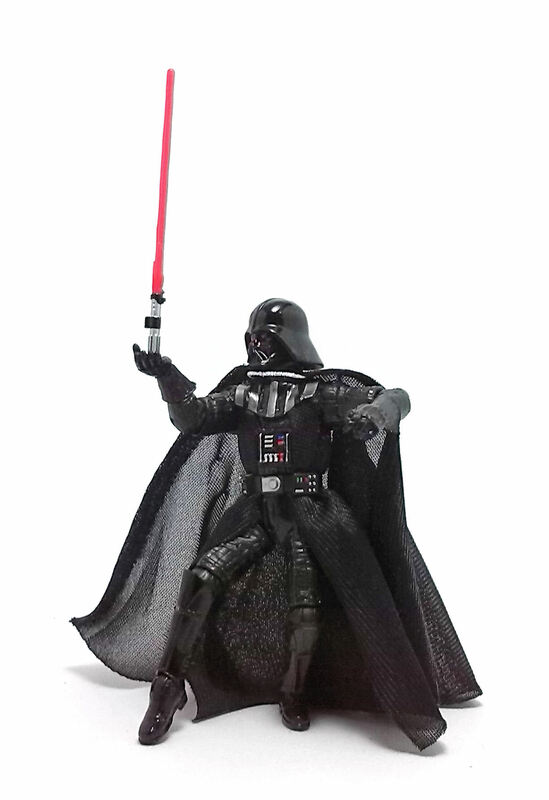 Vader comes with one ignited red lightsaber but also two right hands, both sculpted in a very similar pose. One of the hands has a peg hole in the open palm to accommodate a translucent blast effect, while the other is molded to grasp sideways the blaster pistol also included for that very same purpose. All of these accessories work well with the figure and there is an added advantage in the shape of the hands, which works equally well for general force-choking poses. The paintjob on this version of Vader is excellent as usual. There is gloss black paint applied on boots and armor plates, with neat silver, green and red details decorating the buttons on the chest panel and belt boxes. I like particularly the subtle gunmetal paint on the upper chest armor, as it looks quite elegant. 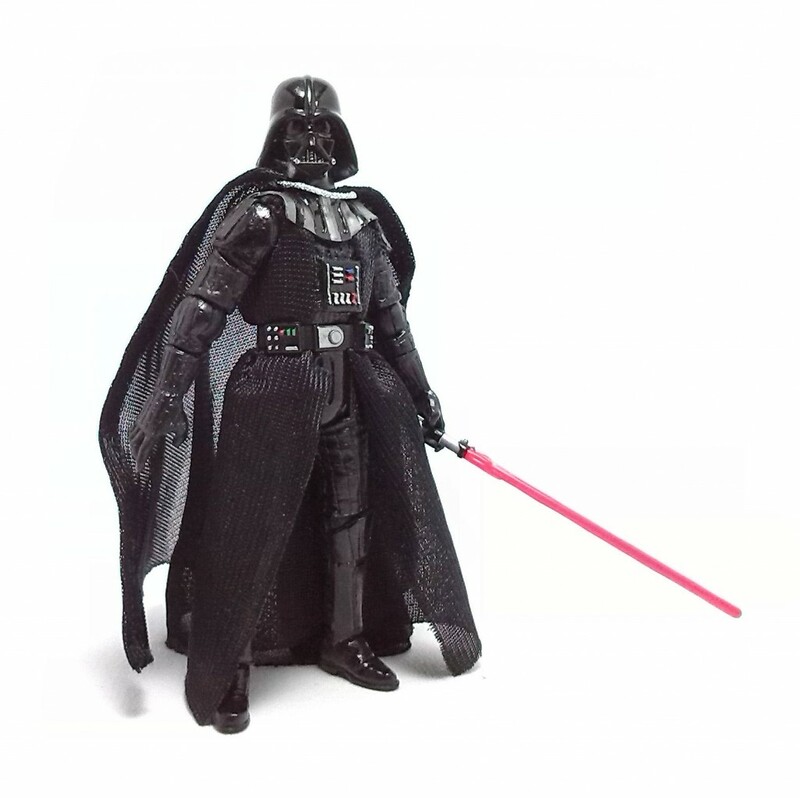 If you already have a number of versions of this character in your collection, you may want to pass on this release, but that would be a mistake because this is a mighty fine version of Darth Vader, despite of being an extremely scene-specific figure.